Supermodel Miranda Kerr has a super body, and that is obvious for all of us. Still, that kind of gorgeousness does not come by itself. She has an amazing discipline when it comes to her physical activity and nutrition. The glowing health of this model, certified life coach and mother made me wonder, how does she do that? Before pursuing modeling, Miranda studied nutrition and health psychology. 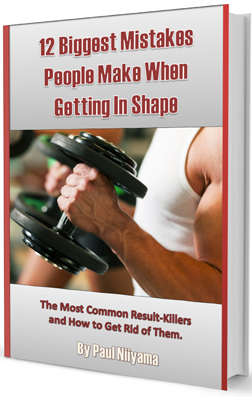 This helps her a lot in juggling with busy lifestyle and breathtaking body. Oh, and let’s not forget her Ballet, Pilates and Yoga workouts. Even when she has just ten minutes of time, she will go into plank position and hold it for as long as she can, or she will take a walk in the park with her son. The key for her is to be active all the time. As for her foods, Miranda believes that eating healthy is not just about counting calories. Her diet focuses on foods that will improve her health and make her feel great. Now, let’s have a sneak peek into her diet tips. Miranda often speaks about her love affair with cold pressed soups. I understand her completely since I love them too. These delicious soups contain much more important nutrients than their cooked relatives. By using raw ingredients, the maximum amount of vitamins, minerals and enzymes are extracted and preserved for a meal. Her foods are packed with live whole ingredients that contain all the nutrients necessary to give you the needed energy boost. They can also be incredibly tasty. 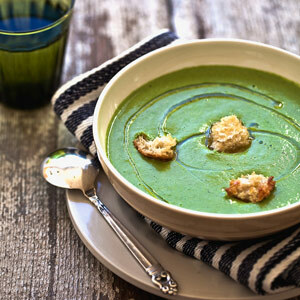 If you don’t believe me, just try this green gazpacho cold soup, which is one of Kerr’s favorites. Nuts are rich source of protein, vitamins, minerals, antioxidants and omega-3 fatty acids. These buttery and crunchy snacks are not only healthy but amazingly delicious, too. Miranda usually soaks the nutty fruits in order to get more vitamins and minerals. Soaking the nuts brings many benefits which include: neutralizing the enzyme inhibitors, preventing mineral deficiencies and bone loss, neutralizing toxins, reducing tannins, increasing the amounts of vitamins (especially B vitamin), breaking down gluten and making digestion easier. Green smoothies are also amongst her most precious ones. They are nutritious, energizing, easy to digest, loaded with fiber and chlorophyll, perfect for breakfast and delicious. And if you add whey protein powder to the mixture, you will increase your chances of losing fat, gaining strength and the muscles and feeling fuller. Miranda also loves adding noni juice , because of its immense antioxidant potential, and quinoa because it is loaded with fiber and protein. Her daily routine starts with warm water and lemon to revitalize her body and mind. She loves cooking for her friends and family, and though she calls it just throwing things together, I think she is quite talented in the kitchen. Miranda is aware that food should bring pleasure and she tries her best to be the one who prepares it. Grilled chicken is one of her favorite dishes and she likes to combine it with coconut oil, turmeric and sea salt. One of her son Flynn’s favorite dishes is sweet potatoes fried in coconut oil. Just something that she often “just throws together,” but it sounds delicious. Whisk together macadamia oil and apple cider vinegar. Mix the rest of the ingredients into one bowl and drizzle with macadamia oil and apple cider dressing. So, what do you say; are you ready to steal some nutrition secrets from this stunning lady? All her tips are simple, healthy and tasty, so it should not be so hard.